Hackers, scammers, and identity thieves are always on the move to steal your personal information and money. There are indeed a few steps you can apply for protecting yourself, like regularly updating your computer software, giving out your personal data only when you have a good reason, and implementing efficient web security measures. Computer security has thus become an essential necessity as it focuses on detecting and preventing unauthorized use of your computer. Detection helps in determining whether or not attempts have been made to break into your system, and analyzing what these attempts are if they were successful. Unauthorized users are prevented from accessing your computer system by employing efficient prevention measures. Generally, hackers do not care about your identity and very often they just want to gain control over your computer and use it to launch attacks on other computer systems. By taking over your computer, hackers succeed in hiding their real location as they execute attacks, mostly against high-profile computer systems such as financial or government systems. Hackers can also view all your actions on the computer and even cause damage to it by changing your data or reformatting your hard drive. You should always be aware of the fact that hackers are constantly discovering new vulnerabilities to exploit in computer software. At times, it becomes difficult to intensively test a computer’s security because of the complex nature of the software. cWatch Web suite is capable of delivering the full spectrum of defensive services that have been defined as best practices by the National Institute of Standards and Technology (NIST) Cybersecurity Framework (CSF) to identify, protect, detect, respond and recover. It also protects both small and big organizations from common website attacks such as Cross Site Scripts (XSS), SQL Injection (SQLi), DDoS and a host of several other techniques that use the website as a bridgehead in order to initiate an attacker’s process of becoming an insider threat to the corporate network. AVG Antivirus Business Edition 2018 keeps your customer and business data safe from the most recent viruses, malware, ransomware, and outbreaks in real-time. It is powered with new cloud-based features as CyberCapture, including enhanced malware detection and web shield. It is also available with free remote management and efficient reporting besides having an updated client user interface. Avast Business Antivirus Pro Plus 2018 is an all-in-one powerful endpoint, server, email, and network protection package for medium and small size businesses. It is enhanced with 18 cutting-edge features in order to completely secure a company's life. Avast Business Antivirus Pro Plus 2018 is available with a powerful antivirus, email, server, and network security, CyberCapture, password manager, firewall, VPN and much more. Secures storage and management of all your browser passwords. Kaspersky Endpoint Security safeguards users from malicious programs such as worms, Trojans, viruses, spam, hackers and other forms of intrusion. 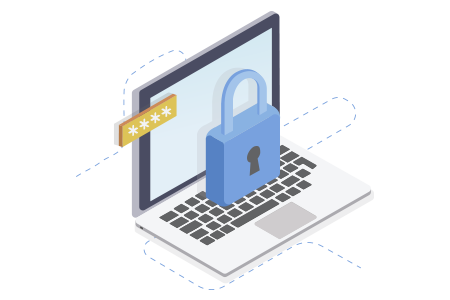 Symantec Advanced Threat Protection is a single unified solution that is capable of uncovering, prioritizing, and remediating advanced attacks. The product integrates intelligence from network, endpoint, and email control points, also including Symantec’s massive global sensor network, in order to stop threats that evade separate security products. It is capable of leveraging existing Symantec Email Security.cloud investments and Symantec Endpoint Protection, and hence it does not require the deployment of any new agents. Hushmail is a secure email service that allows you to send and receive encrypted, private emails and attachments to and from anyone, even those who don't use Hushmail. With a simple installation process, you just have to sign up and start sending securely. The LogPoint SIEM solution can extract incidents and events from the logs present in IT infrastructures. Carefully correlated and filtered real-time results are displayed in easy-to-manage dashboards that can be designed based on the particular roles and responsibilities of each user.